(BPT) - Often an afterthought for spectators, the choice of playing surface - natural vs. artificial - is a major decision for sports teams and field managers that goes far beyond aesthetics. According to Don Follett, director of fields and grounds for the Baltimore Ravens, the decision to transition M&T Bank Stadium back to natural grass at the start of the 2016 season was driven by the players. "A few of our key players asked that we entertain natural grass," said Follett. "Ultimately, we decided that real football should be played on real grass." When first introduced, artificial turf had less cushioning and more surface hardness than it does today, affecting the probability and severity of injuries. Today, the installation of artificial turf involves a mix of sand or crumb rubber infill, which absorbs impact energy and provides cushioning. Over time, however, as infill levels decrease from being packed down or migrating, more infill must be added. Additionally, based on some of the research, an athlete's foot is more likely to snag in a synthetic system, which creates more force on the foot, ankle and knee when trying to turn or change directions. Natural grass can be more forgiving when players stop or turn quickly. While injury rates are not statistically significant between one playing surface and another, given a choice, professional football players tend to favor natural grass fields over artificial turf. 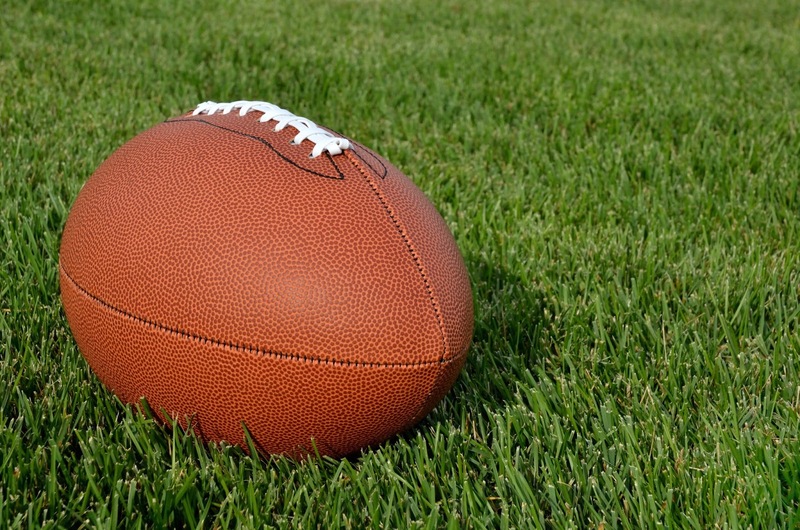 In a 2010 survey of NFL players, 69 percent preferred a natural surface. Natural grass fields have regular growth, watering and mowing cycles, allowing for constant rejuvenation and decomposition of various compounds. The dense root and shoot systems characteristic of healthy turfgrass support a population of soil micro-flora and -fauna. These organisms offer one of the most active biological systems for the degradation of trapped organic chemicals and pesticides. 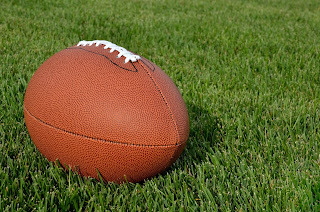 According to Tim Van Loo, president of the Sports Turf Managers Association (STMA) and a certified sports field manager, "the soil of natural turfgrass systems includes microbes that break down certain compounds, such as pesticides, potentially noxious organic chemicals and even bacteria from bodily fluids, such as blood and spit." With synthetic fields, regular maintenance - sweeping, dragging, loosening and redistribution of infill, and cleaning - is necessary to keep them in top form. Turfgrass has the added benefit of contributing to noise and glare reductions. Artificial fields are cited for enabling more continuous play than their natural counterparts, which may need time to recover between heavy use. With a little pre-planning, turf managers can mitigate most of these challenges and protect the long-term playability of their natural turf fields. "The life of a natural field can be extended by rotating activities between fields, changing the daily location of practice on a field, or moving drills and practices around the field," said Van Loo. Taking care to preserve the quality and coverage of natural turf can also reduce unpredictable ball roll and bounce that may occur with bare, patchy growth. Likewise, modern drainage systems are mitigating much of the water concern previously associated with natural grass. When asked how the Ravens' field manages heavy rains, Follett explained, "We put in a full sand-based drainage system that percolates at 13 inches an hour; it would take a remarkable amount of rain." In warmer regions, heat presents a different challenge. Synthetic fields dissipate radiant heat, with surface temperatures regularly exceeding that of natural grass fields by 50 to 70 degrees Fahrenheit. To ensure player safety, teams must schedule practice and game times to cooler periods of the day or run irrigation systems that cool fields. Fertilizer and pesticides are often associated with natural turf. However, organic options are proving successful and newer environmentally friendly fertilizer applications are available. Additionally, the root and thatch layer in natural turf systems acts as a filter and removes pollutants before they enter surface or groundwater. If water use is a concern, field managers can take conservation steps. Devices such as rain sensors can help manage irrigation efficiency. Other water-saving options include using drought-resistant species and encouraging deeper root development by allowing grass to grow taller. With artificial turf, other environmental issues lurk below the surface. Crumb rubber infill comes from shredded tires that contain zinc and other metals. Some fear such elements could escape into the air or leach into water. Additionally, when artificial fields are replaced, the synthetic turf often ends up in landfills. The final decision on natural grass or synthetic often comes down to immediate and long-term costs. According to the STMA, a natural field can cost from $0.60 to $5 per square foot, depending on soils and drainage installation, while construction of synthetic systems can run from $4.50 to $10.25 per square foot. Annual natural turf maintenance costs vary based on the facility and climate regions, but annual expenditures average between $20,000 to $30,000 per field and are competitive with synthetic field maintenance and repairs. Based on Follett's experience, while there were initial costs to transition M&T Bank Stadium back to natural turf, "there is not a significant difference in the ongoing maintenance of well-kept artificial turf and grass." Choosing between natural and artificial turf is not easy. It is a decision every field manager must weigh carefully, evaluating all factors including the perceptions of players and spectators to ensure long-term support for the field. 0 Response to "Deeper than grassroots: Playing field surfacing decisions go beyond looks"